Driven by a belief that the nonprofit technology community can be a movement-based force for positive change, Amy is NTEN’s CEO and former membership director. Her prior experience in direct service, policy, philanthropy, and capacity-building organizations has also fueled her aspirations to create meaningful, inclusive, and compassionate community engagement and educational opportunities for all organizations. Amy inspires the NTEN team and partners around the world to believe in community-generated change. She believes technology can help nonprofits reach their missions more effectively, efficiently, and inclusively, and she’s interested in everything from digital equity to social innovation. 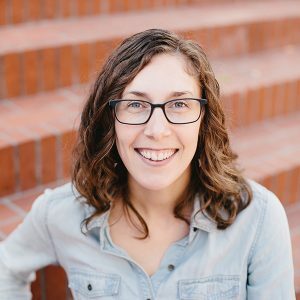 A frequent conference presenter and keynote speaker, guest on podcasts such as Nonprofit Radio, and contributing author for Stanford Social Innovation Review, Fast Company and other publications, Amy has a bachelor’s degree in English & New Media from Valparaiso University. Her co-authored book, Social Change Anytime Everywhere, was a Terry McAdam Book Award finalist in 2013. Her favorite social media channel is Instagram, for its personal and powerful storytelling capabilities (and baby and dog videos). Offline, Amy is hiking, biking, or exploring with her husband, son, and dog, with a preference for Oregon’s coast or wine country. She’s also known to give excellent hugs.